A credit reporting agency is a repository of information that holds an individual’s credit or payment history. An individual’s credit report is created when a request for a report by a lender, credit card company or other authorized party requests it. Credit bureaus or credit reporting agencies hold the consumers credit data in their databases. The data is always there but the credit report does not really exist until it is asked for. It is then compiled by the credit reporting agency based on the information stored in the agencies file. Information in a credit report is supplied by lenders, from court records, credit card companies, banks, mortgage companies and other creditors including the individual to create an in-depth credit report. A credit reporting agency or credit bureau collects and reports the credit information from these sources and retains the data until called for. An individual’s credit history is compiled and maintained by these credit reporting agencies as needed following their procedures and legal guidelines. The information held in the report is also used to calculate an individual’s credit score best a computer scoring model at the credit reporting agency. There are three big national credit reporting agencies in the United States. 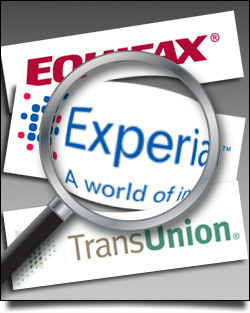 Experian, TransUnion and Equifax are the three biggest credit reporting agencies. They are not the only credit reporting agencies in the United States but they are the biggest by a considerable degree. There are many smaller, regional and even industry specific credit reporting agencies that provide clients with credit reports. There are also many different international credit reporting agencies that operate in specific regions. These big credit reporting agencies are the ones in which most of the attention about credit reports and credit scores is focused on because they maintain the largest national databases of consumer credit information. The big three credit reporting agencies perform two similar basic services: collecting and reporting credit information. The 3 credit agencies are independent of one another and though they conduct their business of data gathering to compile credit reports in a similar fashion they do not operate in the same way. This is the primary reason why consumers who obtain a credit report from the three largest credit reporting agencies get a report back with some different data. Therefore, a credit report from Experian will contain slightly different information than a credit report from TransUnion and Equifax. Not every creditor and lending institution such as credit card companies, banks or mortgage lenders report to all three credit bureaus, leading to additional difference between the three big credit reporting companies. The majority of the credit data supplied to a credit reporting company is on a voluntary basis. A credit card company or lender can choose to supply the data or simply not choose to be burdened with the responsibility of supplying data files on their customers to the credit agencies. A common example of this is small and regional credit unions. It is likely that loans and credit accounts from these entities will not be found in a credit report. However, thousands of creditors, lenders and other businesses do send credit information and updates to each of the credit reporting agencies, frequently once a month. The lending institutions and other creditors that do not supply information, send updated consumer credit information to one or more of the big three credit reporting agencies. The information often includes how much the consumer owes at that institution, the original amount of money extended, when the account was opened and the payment history. The same lending institutions and creditors that supply information to credit reporting agencies may also be the ones requesting credit reports when a consumer applies for credit. The big three credit bureaus also review public records for information, such as court records from bankruptcies, foreclosures and legal judgments. Information retained also includes recorded information about credit applications and credit inquiries. TransUnion, Experian and Equifax now market their credit reports directly to consumers, in addition to its primary business of providing the reports to potential creditors. You can choose to work with a reputable credit repair company to help remove negative items from your credit report too. The big three agencies can be contacted at the following numbers. All of the services performed by the big three offered directly to the consumer are fee based. Equifax, Inc. is a consumer credit reporting agency that is one of the big three credit reporting agencies.The company was founded in 1899 and is the oldest of the three agencies. Equifax is based in Atlanta, Georgia. Experian is a consumer credit reporting agency, also part of the big three credit reporting companies. TransUnion is a consumer credit reporting agency, considered one of the big three agencies. TransUnion was created in 1968 and is based in Chicago, Illinois. Consumers may also get one free credit report annually from each of the three major credit bureaus. To do this you simply fill out one form with all of the required identifying information and indicate which of the three bureaus that you want to receive a report from. 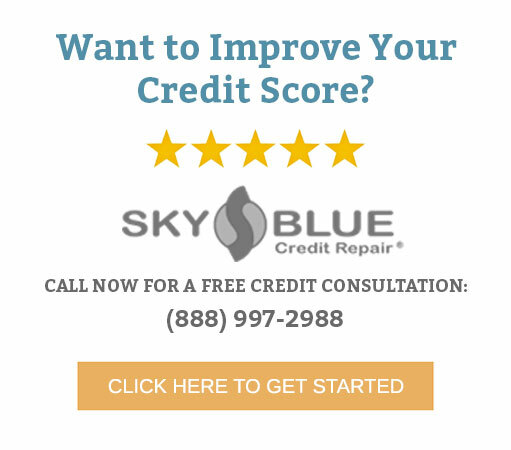 You may request to receive your free credit report from one, two, or all three of the credit bureaus by filling out only this one form from annualcreditreport.com or call 877-322-8228. Free credit reports are available only once per year. Many consumers request all three at the same time while other consumers prefer to receive them one at a time spread out throughout the year. If you are obtaining these reports to file disputes thru the provisions of the FCRA it is probably a good idea to request all three at the same time. Keep in mind that not all three reports may be identical since not all creditors report to all three bureaus.